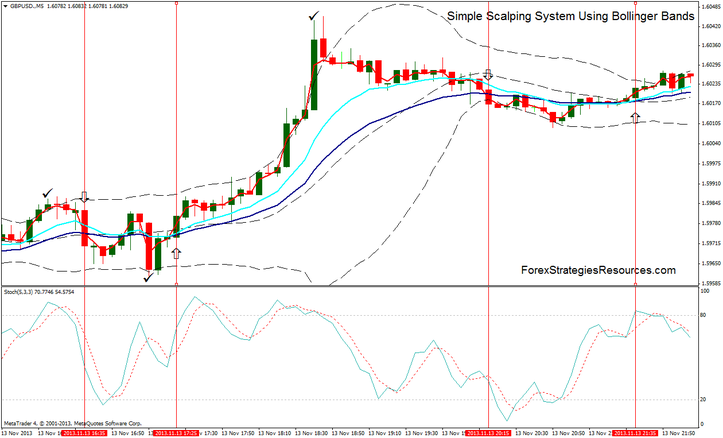 In this simple scalping system the Bollinger bands are used as reversal signal but the trading system is trend following. Never trades befor the financial news. Currency pairs: for 5 min time frame and 15 min major, for other time frame all currency pair and markets. Second: Wait tha ema (2) is above EMA 11 amd EMA (21) and stochastic cross upward. 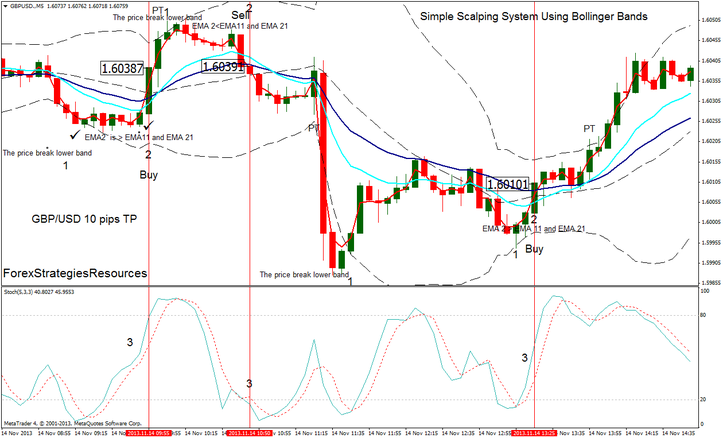 Second: Wait tha ema (2) is below EMA 11 amd EMA (21) and stochastic cross downward. Profit target= EUR/USD 8 pips, GBP/USD 10 pips, AUD/USD 7 pips. initial stop loss 15 -18 pips.